What's a Child Life Specialist? What is Ochsner On Call? Certified Child Life Specialists (CCLS) are professionals who are trained in the areas of child development, child life, counseling and psychology, and have expertise in dealing with children's concerns and reactions to the hospital and their illnesses. In accordance with Ochsner for Children's family-centered care philosophy, Child Life Specialists recognize and support each family's individuality, strengths and mechanisms for coping. They are members of the comprehensive healthcare team, focusing on promoting normal growth and development, and use play and other forms of communication to help reduce the stress of the healthcare experience for children and their families. A Child Life Specialist can help you and your child understand and manage your healthcare experience through education, procedural preparation, medical play and other therapeutic activities. What Services are provided by Child Life Specialists? In What Areas Do Child Life Specialists Work at Ochsner? Child Life Specialists work in many areas of both the hospital and outpatient clinic settings. In each of these areas, Child Life Specialists plan individualized interventions for each patient and family. We appreciate your interest in Ochsner Medical Center for Children. Below, please find a listing of items that can be accepted as donations to our department for patients from infants to adolescents. Used stuffed animals, toys, or clothing. Games, toys, video games, or movies that are violent or inappropriate for children. The Child Life Internship program at Ochsner Hospital for Children is designed for individuals with the desire and knowledge to become a Child Life Specialist. Our Child Life Internship provides clinical development through a systematic learning experience centered on Child Life competencies. The Child Life internship consists of a 40 hour work week for 15 weeks, totaling 600 hours. Students will have potential rotations on the General Pediatric Unit, PICU/CVICU, Surgery Centers, Pediatric Clinic, Radiology and other areas Child Life visits based on staffing availability. Supervision is provided by Certified Child Life Specialists, who strive to assist students as they apply theory to practice. Our internship sessions are consistent with the recommendations from the Child Life Council. If you are interested in applying to our Child Life internship, click here. The Children Life Department offers a Child Life practicum during the Fall, Spring and Summer semesters. The Child Life practicum is organized to give students the opportunity to gain insight and exposure to the Child Life profession and help students understand the unique needs of hospitalized children and families. Our practicum offers experience in all of our pediatric settings, as well as others areas in the hospital that we serve. Practicum students will have the opportunity to observe Child Life Specialists facilitate pre procedural preparation, procedural support and distraction and medical/therapeutic play. Various assignments and projects will be due throughout the practicum experience. Our practicum is a 12-14 week program with days varying, depending on individual needs. The student will be required to complete 120 hours. If you have any further questions, please call our Child Life Department at 504-842-2032. Infants feel most secure when they are with their primary caregiver. Provide for your child any comfort or security items from home, such as pacifiers, blankets, pillows, or stuffed animals. Talk to your child in soft, soothing tones. Sing and play soothing music for your child. Walk, rock, and hold your child often. Keep the hospital room atmosphere a soothing one, with dim lights and low noise. Encourage members of the medical team to speak soothingly to your child before touching her. Speak with your Child Life Specialist about using comfort positioning during procedures. 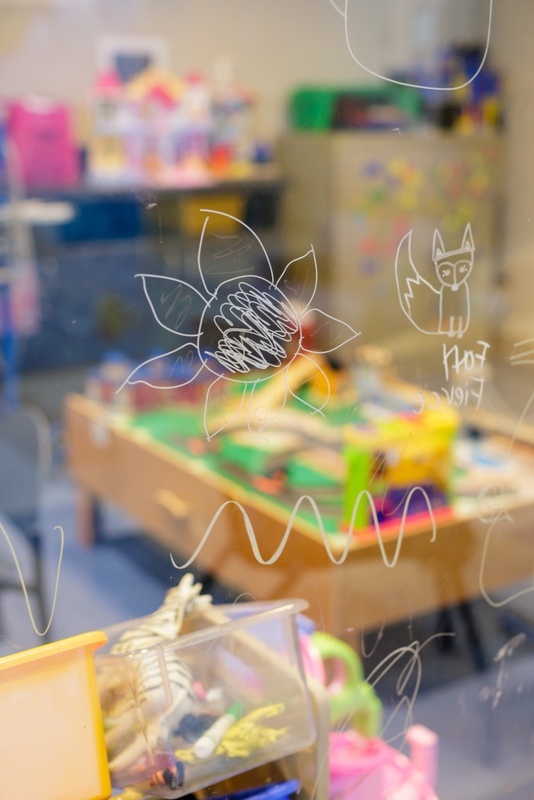 Separation anxiety and stranger anxiety are common for both toddlers and preschoolers to experience, especially in a new, strange environment like the hospital. It is also common for children of this age to need to assert their independence; many preschoolers fear and are preoccupied with bodily harm, especially an amputation of some kind. They often associate procedures with a form of punishment for a previous wrongdoing. Provide your child with comfort items from home, including favorite toys, blankets, books, music and stuffed animals. Read books with your child that are related to hospitalization or her specific illness or surgery. Participate in play with your child with pretend medical equipment, or let her draw for you her interpretation of the health care or hospital experience. Make sure you address and clear up any misconceptions they may have. Offer your child realistic choices whenever possible (for example, "Do you want to walk to the treatment room, or do you want me to carry you? "), and avoid stating necessary actions as a choice to your child when she does not actually have a choice (for example, "You need to take your medicine now, okay?"). Although your child is exerting her independence, it is critical for you to set limits for your child and clearly define them, to increase her sense of security. Reassure your child that she is not being punished, and never threaten a medical procedure or abandonment if your child is not cooperating effectively (for example, "If you don't take this medicine right now, you are going to get a shot!"). Encourage your child's budding independence by allowing her to take control of situations and participate in her medical care (for example, let her take the pills herself). Speak with your Child Life Specialist about comfort positioning, procedural preparation, and distraction during procedures. School aged children continue to assert their independence and desire to be in control of situations. Children of this age have also developed the ability to worry, as well as to fear bodily harm or loss of bodily function. Some children may still exhibit separation or stranger anxiety; some children who have progressed past these fears may temporarily regress. Participate in medical play with your child with pretend medical equipment; use role reversal with your child, letting her make the decisions and play the role of the doctor or the nurse, caring for a doll or stuffed animal. Read books with your child that relate to her illness or feelings. Keep your child informed of events - both at the hospital and at home. Provide comfort items from home, such as favorite games and books, and pictures of family and friends. Allow your child to direct familiar procedures, when appropriate ("what comes next?" during a procedure such as a dressing change). Speak with your Child Life Specialist about distraction, procedural preparation, and comfort positioning during procedures. They are able to think about the future and better understand medical language and procedures. Adolescents often have the misconception that they are invincible, or the "nothing can happen to them." Therefore, hospitalization and medical experiences can be overwhelming. Adolescents value their privacy and independence, as well as their interactions with peers. Respect your child's need to continue with her normal relationships with her peer group while in the hospital by allowing private time on the telephone and visits from friends, when appropriate. Respect your child's need for privacy and allow her time alone. Encourage medical staff to speak with your child and not just to you, her parents. Allow your child to bring comfort items from home, such as favorite books, music, and movies. Help your child to identify coping strategies that work best for her, such as watching a procedure or looking away. Encourage your child to express her feelings - verbally, or through art, writing, or music. Speak with your Child Life Specialist about distraction, preparation, and coping techniques to use during procedures. The Child Life Specialists at Ochsner have special training in working with critically ill children and their siblings. They can help explain illnesses and concepts such as death in developmentally appropriate language. They can also engage your child in activities that will help communicate feelings your child cannot or will not communicate verbally, as well as help siblings gain a feeling of closure upon the death of the sick child. The Child Life Department can also be consulted by a family or staff from the Adult ICU to help prepare and support a child during an adult family members' hospitalization or death. If you feel that your child would benefit from these services, please call the Child Life Department at 504-842-2032. Decrease or increase in appetite - Children often use food to feel a sense of power and safety in a situation where they do not have much control. They may demand to eat the same kind of comfort foods for every meal, or refuse to eat at all. Caregivers can often compromise with children and allow these foods along with healthy options. This is typically a short-term coping mechanism. Increase in activity level - You may notice that children have increased activity or hyperactivity immediately after a traumatic event. This is often an outlet in an attempt to gain control over a powerless situation. Some of the child's emotions are displayed physically rather than verbally. Severe decrease in social activities -Children may choose to decrease time spent with groups, so they can have an opportunity to process the event individually. Allow the child to do this on their own, but be available for discussion and support when they are ready. Hyper vigilance - Attention seeking behaviors are common following traumatic events. Educating all the individuals in the child's life (teachers, child care facilities, health care providers) is important so appropriate consequences can be communicated. If a child continues these behaviors, additional efforts should be made to restore their sense of safety and power. Dreams and Nightmares - Children often have nightmares or dreams about the traumatic event or the loved one that was affected. It is important to allow the child to describe the dream, and not to assume that it was scary. Help your child process these dreams and devise a plan to make them feel safe. This may include playing calming music before bedtime, reading books, letting them sleep where they feel safe. Sleeplessness - Children may be fearful and afraid of what will happen next, and this may increase sleeplessness or nightmares after the event. Allowing them to choose where they feel safe to sleep, and choosing their comfort items (blankets, pillows, stuffed animals, etc.) is an important step in restoring feelings of safety. Breakdown in communication (specifically with adolescents) - Older children and parents often try to "protect" their loved ones from grief by not expressing their emotions about the traumatic event. Relaying your feelings of loss and grief to your child is appropriate, but teens will often process these thoughts with peers or other adults. This is a normal response to grief and loss, and it encourages discussion within families about the event. Keeping a consistent daily schedule will reduce anxiety and stress in children that have experienced a traumatic event. When children do not know what to expect, agitation, regression, and anger can be common side effects. Communication in words and actions is vital. Follow the child's lead to understand how to meet their needs. Infancy - 3 years: What Can Caregivers Do to Help? 3 - 6 Years: What Can Caregivers Do to Help? 7 - 9 years: What Can Caregivers Do to Help? 10 - 13 years: What Can Caregivers Do to Help? 14 and up: What Can Caregivers Do to Help? Egocentric, "What is going to happen to me?" Siblings of hospitalized children experience a variety of emotions. Their lives have also been changed and "disrupted" by this event. Be mindful that each child is different - an individual - and will therefore experience her own individual feelings and express them in her own individual ways. Caregivers know their child best, and you are the most qualified to identify your child's needs and concerns. "Acting out" to get attention. Regressing to previous behaviors (for example, a potty-trained child may regress to needing diapers again). Having difficulty eating or sleeping. Honesty and communication are important. Explain clearly to your child what is happening with her brother or sister, in a language she can understand. When children do not have the information they crave, they often fantasize about what is happening to their sibling or the reasons behind the illness. Let your child visit the hospital to see that her sibling is OK, and be sure to prepare her properly for what she will see, as well as other possible sensory experiences. Keep the lines of communication open, and take the time to really listen to what your child is telling you. Encourage your child to communicate her feelings with you, and reassure her that all of her feelings are okay. For younger children who do not have the verbal capacity to express their feelings, pay special attention to their play habits and other ways young children have of expressing themselves; you may even want to engage your child in role play, in order to identify and correct any misconceptions she may have. Guilt for causing the sibling to be ill (fantasy). Lack of involvement in the sibling's care. Desertion by parents, family, and friends. Anger at parents for their inability to protect the sibling. Guilt for being the healthy child. Fear of "catching" the illness. Embarrassment at any visible signs of the sibling's illness or lack of capacity. Anger at the disruption in their own lives. Jealousy due to a lack of personal attention. Be sure to inform your children's' teachers of what is happening, so they will be understanding of and observant of any unusual behaviors. If you feel that your child could benefit from a consult with a Child Life Specialist regarding the illness or hospitalization of a sibling, please contact the Child Life Department at 504-842-2032.